Boar is open for auditions once more. 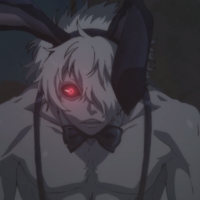 I am currently in the process of looking for more Voice Actors to *refill 1 role (1F) in a, for fun, anime abridged version of the show Juni Taisen (zodiac wars). This will be the third time I have needed to recast this role. As such the original schedule is way behind now. Would be looking for a tentative dubbing of the lines within the next 2 weeks at the latest, the sooner the better. If you are interested and want to see the script in full, send me an email (my name in lowercase at gmail). If you have any questions, email me as well, as that is the fastest way to communicate at this stage. -Do a sample dub and/or give me links to other works I can use as reference. -We set a time to talk briefly (15 mins), and determine if we can get a good fit. I will be using google docs and email to spread scripts and other information. There is an old casting call video on youtube, bunch of somewhat promotional amv, an undubbed sample video of the full abridgment, a full colour coded script with timestamps, and individual scripts available as resources, alongside other little segment videos. 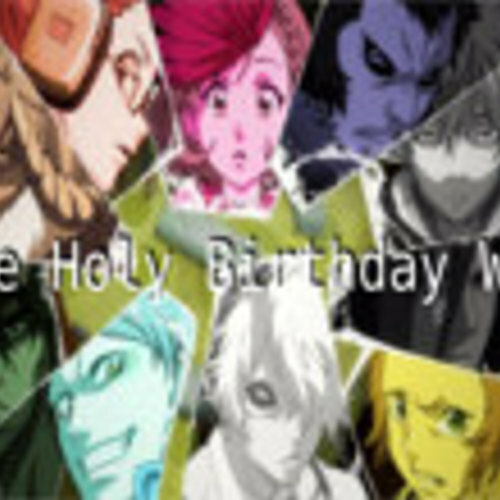 12 warriors arrive in an abandoned city to partake in the legendary birthday party to end all birthday parties, dubbed the Holy Birthday War. Only the last one alive will be crowned ultimate Birthday girl/boy/champion. Send me a message/email (can't post email directly here but you should be able to find it) if you are interested and are unable to submit a sample within by the deadline (willing to consider based on any other work you might have that could give me an idea if you might be a good fit for the role). Her Father was the winner of the last war. She has been raised by her very rich and noble family to participate in this war in his stead (live personalized military training). She has had a very sheltered family-centric life (mother-dad-sister). As such, she is constantly trying to Live up to family (specifically father’s) expectations, yet gets sidetracked by her own feelings/actions. For example her place in this war was given to her younger sister after she had failed to kill one of her training opponents (the flashback of which is 10:14⇒10:28). In order to get her place back, and be chosen as Boar, she chose to psychologically destroy her sister into committing suicide (happens prior to the script). Throughout the script there is a running gag foreshadowing her inevitable premature death. She picks up on these clues, but is unable to do anything about them in the end. 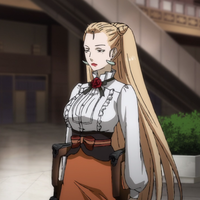 Even though she is taking the event extremely seriously, her mind tends to wander on its own. More interested in voicetypes when you give a sample. Following the outlines is great, but I'm really looking to get an idea how you 'could' make the lines sound. Feel free to do 2 takes, or more if you want, and/or to do different lines in different voices as you run through the 3 listed. Greater, more understood, context for the lines would be provided in followup auditions. Lancer, Saber, Archer, Assasin, Rider, Berserker, Castor....I must determine who the real 7 main characters are amongst this rabble. ...shouldn't I be in that picture?......Hello? I can't be the only one seeing -gets cut off by the video somewhere around here- this right now. D.....daddy.....did I...did I make you proud? Thankfully it’s just 1 on 1. I got this. 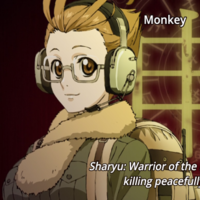 Daddy always taught me to (use a really goony stupid voice that seems extremely out of place) "keep both hands free to deal with enemies appearing from any direction at any time"
Monkey is the pacifist in the actual show, she is trying to end the war without anyone having to die. The contrast here is that in this parody she is simply interested in partying and enjoying herself like she’s at the greatest and most legendary birthday party ever. A very eccentric, positive sounding/acting girl in her 20’s. Her lines alternate between a positive/eccentric/high-pitched generic girly sounding/acting highschool girl, and between lines that are very mature and heavy in sexual connotations. She is acting immature playing innocent girl, and then acting like a sexual predator the other times. She develops an obsession with the bunny early on due to how he looks/acts. Lines alternate between high pitched eccentric girl, and lower pitched sexualized womanly. Monkey has 3 or 4 more little lines like the above ones. What I have listed is over half her script though, so expect twice as much of the above at most for her full script. Most of her comments have sexual connotation to them. The words themselves in her script are like the above, they are PG rated, but the meaning behind them deserves a more mature rating. voices as you run through the 3 sets listed. Greater, more understood, context for the lines would be provided in followup auditions. I am listing Monkey and Boar. But I am really only looking for 1 VA for 'one' of the two roles. I have a VA who was going to do both, but has asked to do just one. So I am posting here with the intent to find someone to fill one of the two roles, then the existing VA remains on for the other. I'm doing it this way because I want to allow each VA twice as many chances to be a good fit for their role. Basically I'll look at Monkey and Boar as a single entry, and choose one person from both sets of auditions. I highly recommend auditioning for both roles, that way I know you are willing to accept either one, and it gives me twice as many samples of your voicetype to try and match you as a good candidate to take one of the roles. Are you here for meeee? Is it my birthdayyy already? Ohhh! Lets play Birthday games! Raise your hand if you wanna visit the rabbit farm! remains childish throughout. An introverted manchild, who thinks aloud, is a good summation. Very mentally unstable personality. doing your highest pitched voice possible. Comfort Level: All his lines are PG rated if not E for everyone. No swearing whatsoever. a different voice. Its freestyle. Try to add in a possessive psychotic laugh somewhere into line 1, if not all over if you wish. he's not necessarily whispering though, he's saying the words clearly. sounding gollum from lord of the rings. I don't mean to say that I know, of my own knowledge, what there is particularly dead about a door-nail. I might have been inclined, myself, to regard a coffin-nail as the deadliest piece of ironmongery in the trade.